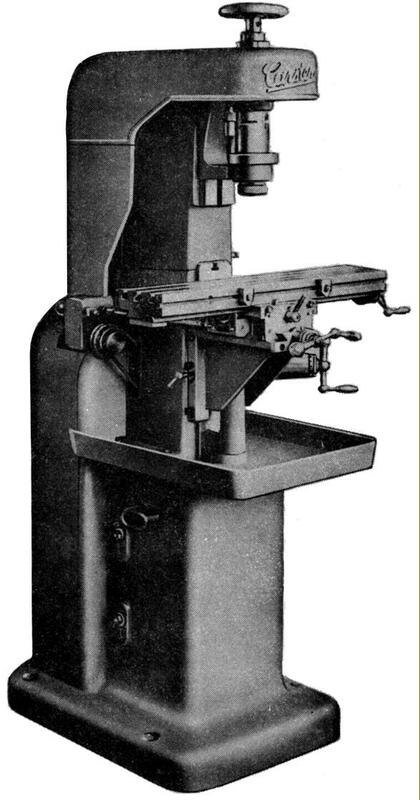 Carstens made their first milling machine in 1928 with the Model HVF 400-130 vertical shown left being as made during the 1930s and 1940s. Typical of its time, the miller carried its drive motor on the back from whence it drove, using a flat belt running over a pair of adjustable jockey pulleys mounted at the top rear of the column, to the 23 mm bore, No. 3 Morse taper headstock spindle (though some machines have been found with an as-yet-to-be-identified fitting. 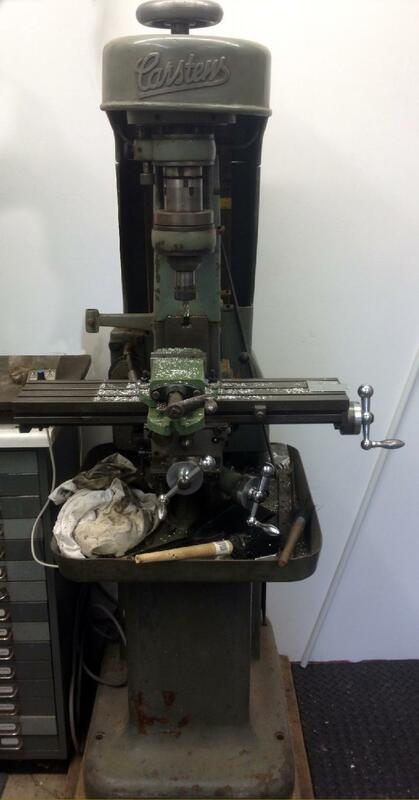 Heavily nitrided and ground, the spindle ran in adjustable taper roller bearings and could accept draw-in collets up to a maximum capacity of 20 mm. A useful touch was the provision of a threaded spindle nose to accept chucks - the thread perhaps being the same as used on the Company's D-Series lathes. With 8 spindle speeds available from 80 to 600 r.p.m.- and bearing in mind the limited amount of room to fit a cone pulley - it is likely that a 2-speed motor would have been fitted. The 500 x 130 mm table was power-driven, with rates of feed from 16 to 90 mm/min. 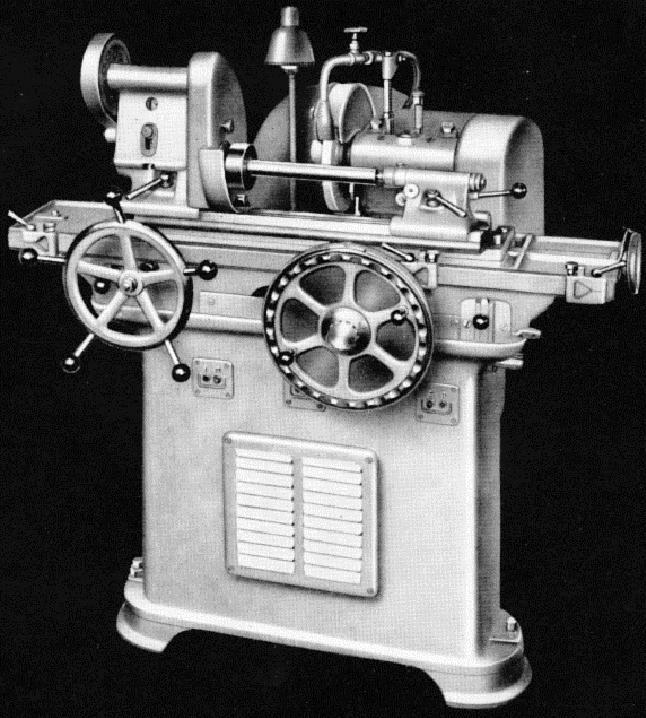 Unusually, the miller was fitted with both an elevating knee and a vertical way to adjust the position of the head--though the latter must have been severely limited by the need to accommodate the belt drive. Cutters were held in draw-in collets, the maximum capacity being 20 mm. 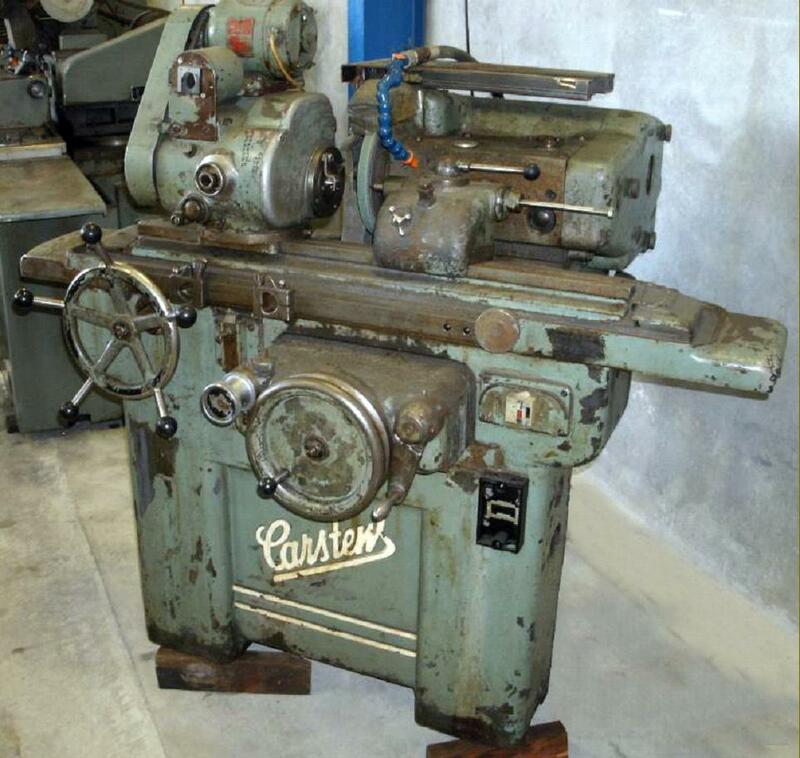 Do any Carstens milling machines survive? If you have an example, the writer would be very interested to hear about it. 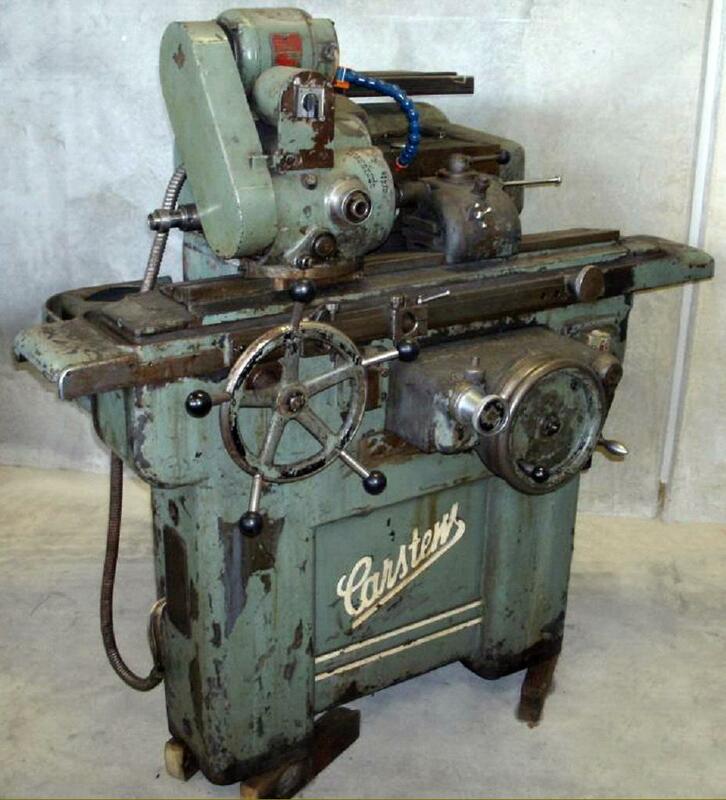 Carstens Vertical miller Type 600/130 as made during the early 1950s. Note the much longer table, more robust stand and generally more angular appearance. By including the patented Carsons epicyclic backgear unit into the rear of the drive assembly the number of spindle speeds was increased to 24, spanning a useful 48 to 1800 r.p.m. A horizontal model was also offered, able to be fitted with a vertical head.